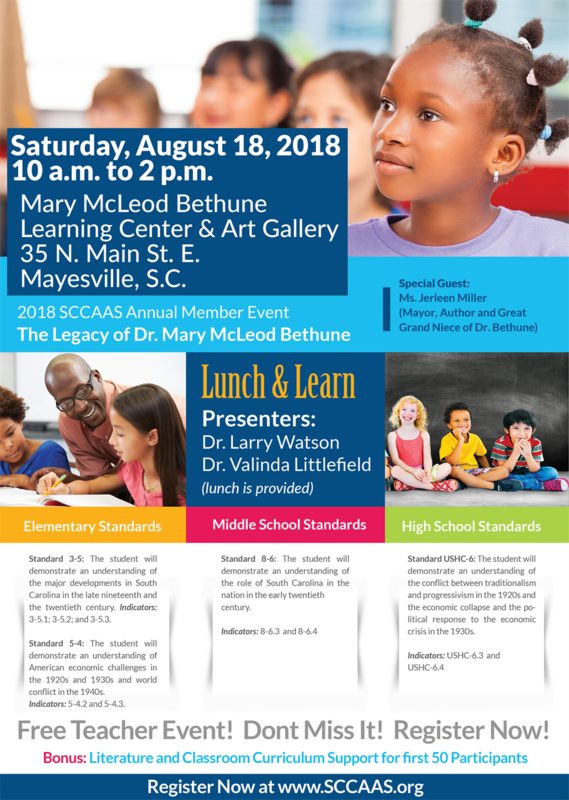 Join us and bring a friend to learn more about SCCAAS on August 18 at Mary McLeod Bethune Learning Center and Art Gallery in Mayesville, SC. Special guest will be Ms. Jerleen Miller (Mayor, author, and great-grand niece of Dr. Bethune). As a bonus, the first 50 participants will receive literature and classroom curriculum support!